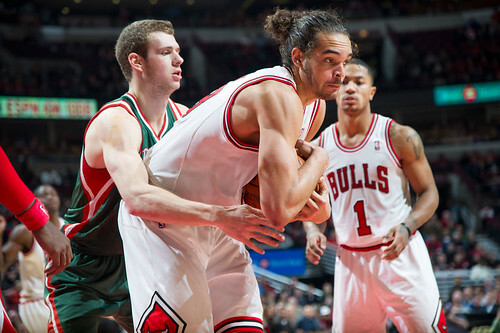 The Bulls got a big three performance in Friday’s 107-100 win over the Milwaukee Bucks. Derrick Rose toed the line, as it were, with a season high 34 points while Carlos Boozer and Joakim Noah both had double/doubles, combining for 35 points and 29 rebounds. 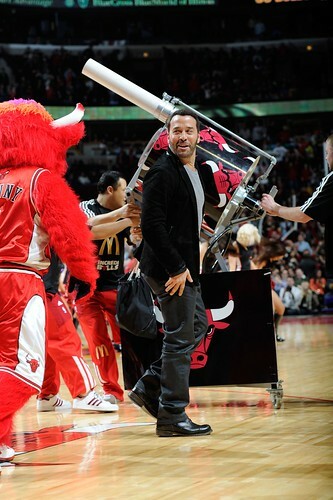 So are the Bulls ready for the Miami Heat and its Big Three Sunday? And even if they do it’s going to be problematic as the Heat looked sharp Friday with the return of Dwyane Wade from an ankle injury in a victory over New York. It’s the Heat basically in full health — heck even the walking sprain, Mike Miller, is back — while the Bulls are likely missing Luol Deng and perhaps Richard Hamilton, both of whom didn’t play in Friday’s game. Deng indicated he’ll be out another week as he prepares to play with his torn wrist ligament. Hamilton has a thigh bruise and also a lingering groin issue, so he’s somewhere between questionable and day to day. Taj Gibson returned from his sprained ankle, though seemed somewhat limited. It will be the Bulls this time, despite a conference best 17-4 record, coming into Miami as the undermanned in perhaps the first game of the season since the Christmas Day opener with considerable anticipation. It also kicks off the national ABC-TV Sunday games schedule. 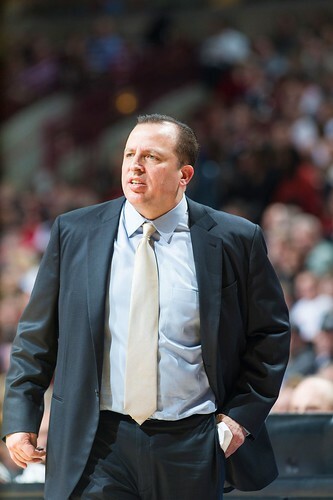 Bulls players don’t say much about so called big games since coach Tom Thibodeau counsels them with his NFL mentality not to give out information that can be used by the opponent. You’ll notice Noah no longer questions where one might vacation. 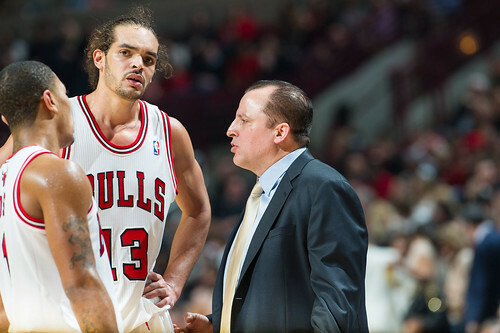 It’s possible with Thibodeau he is upset the NBA actually prints a schedule. Not that Miami is looking for any revenge. Sure, the Bulls swept them last regular season 3-0, which didn’t carry over much as the Heat won the conference finals 4-1. But the Bulls famously made Miami players cry last March in the final regular season game between the teams. And given that most predict it will be a Heat-Bulls conference finals, it seems reasonable to assume Miami would like to begin delivering messages and statements about just who is the most worthy. 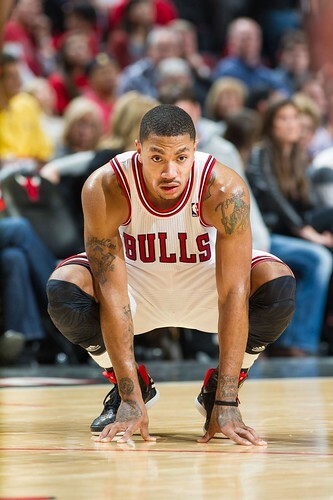 And while Rose has struggled this season with his toe, LeBron James probably has been the best player in the league. Bulls coaches who have been watching Miami tapes in advance say they’ve never seen James playing better. Likewise, Chris Bosh is besting his career numbers, averaging almost 22 per game. And the Heat has a bench to consider this season with Shane Battier, Miller, Udonis Haslem and rookie Norris Cole to equalize the Bulls previous advantage. 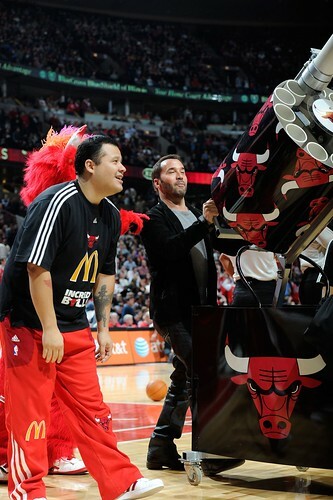 Heck, we might even see Eddy Curry after he didn’t play against the Knicks. 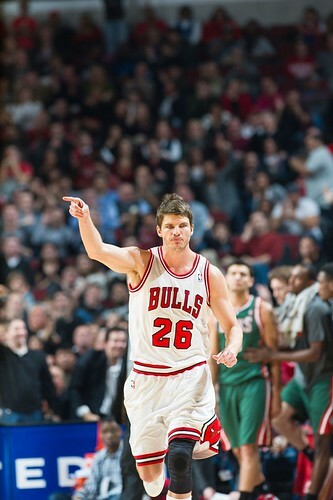 And while Gibson is back for the Bulls, Kyle Korver continues to struggle with his shot, 28 percent overall and 24 percent on threes the last nine games. The Bulls gave rookie Jimmy Butler a look Friday and didn’t get much done again, and Thibodeau has had a curious limitation on Omer Asik of late even as Asik has played well. 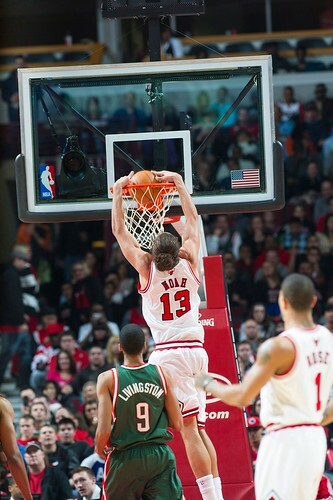 Asik had four points and five rebounds Friday, but played just six minutes. Against the Pacers, Asik had five rebounds and three blocks, but played just 12 minutes. Against the Nets the previous game he had 10 points in 10 minutes. Those diminished minutes combined with the decreased production otherwise off the bench, though C.J. Watson had 13 points and closed the game in a backcourt with Rose Friday, suggests a distinct Miami edge that was missing last season. Understandably, the Bucks without the injured Andrew Bogut were a small team, and the Bulls ended up matching the Bucks small and controlling the game for the most part as Brandon Jennings had 25 points and Drew Gooden had the least impactful 23 points and 15 rebounds I’ve seen. So if the Bulls are going to make a battle of Sunday’s anticipated matchup, they are going to have to win the battle of the inside. That’s where Miami is most vulnerable, so I would like to have seen more of Asik lately. Miami is going to try to run out and dunk most everything, get the crowd into it and try to intimidate you. It’s going to hurt the Bulls badly not expecting to have Deng to defend James. Ronnie Brewer tries hard, though he had a brutal two of 13 shooting game Friday. But he’s no match for James’ size and strength. The Bulls started Korver at shooting guard Friday, which you can do as Milwaukee started Jennings and Shaun Livingston in the backcourt. I might go with Watson Sunday against Wade if Hamilton is out again. You’d figure rookie Butler would be in foul trouble before he’s off the bus against those guys. Maybe a bit of former Heat Mike James, though he hasn’t played lately. No, this could be a tough one unless Noah, Boozer, Gibson and Asik are strong. 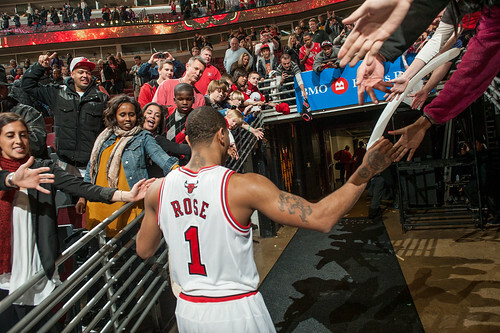 Though Rose saved the Bulls Friday with his big game, it was Noah and Boozer coming through with 14 of the Bulls 28 fourth quarter points. The Bucks in the fourth quarter got 13 each from Gooden and reserve Jon Leuer and got within six with 3:07 left at 96-90. But Rose came out of a timeout with a baseline teardrop as he gathered in a loose ball, Brewer got Leuer with a block and Noah rebounded a Watson miss and put in a reverse for a 100-90 lead with two minutes left. 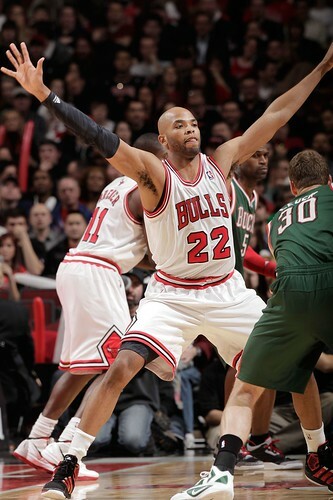 Boozer added a putback on another Watson miss a minute later to keep the Bucks from making any serious threat. It’s been showing, and I thought the best sequence of the game for the Bulls—other than Rose blowing by Jennings so much he was believed to be treated for pneumonia afterward—was a sequence we’d come to expect from Noah and why the team was pleased not to trade him for Carmelo Anthony and offer him a long extension. 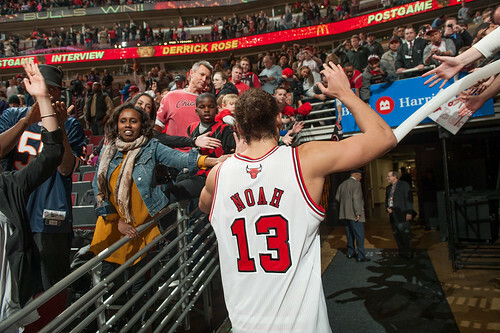 It’s been a tough start for Noah, leading to questions among the fans and media about his worth. But he has double/doubles the last three games and four of the last five. The only one he missed he had eight points. This was perhaps in the crucial shoal of time in the game after the Bulls hung onto a 51-50 halftime lead as Jennings had 19 in the half. The Bulls defense was fairly ordinary until then, but they closed more aggressively to open the second half and Noah had this wonderful sequence: He came off his man and blocked a Carlos Delfino driving attempt and then sprinted ahead of everyone to finish a dunk. Then Noah denied Gooden driving baseline and forced him into a turnover. Noah then set a high screen for Rose and rolled to the rim, tipping Rose’s miss and getting fouled. Noah made one of two free throws for a 58-50 lead. 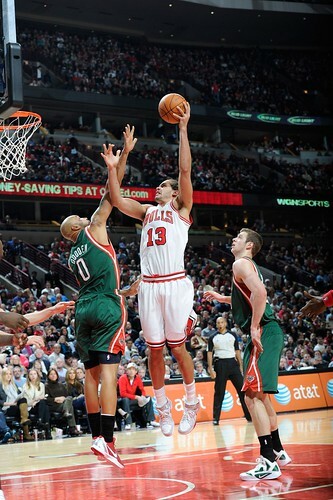 On the next Bulls offensive possession after a Livingston score, Noah floated to the free throw line. With Gooden playing loose like he always does, Ersan Ilyasova came up to help. 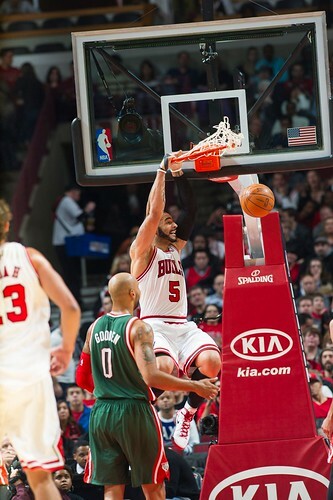 Noah then rifled a perfect bounce pass underneath to Boozer, who dunked it. After a Korver miss and two Rose missed free throws as Rose’s shot was inconsistent, Noah got stuck along the baseline with the ball and fired it to Boozer for a short floater. Korver then made a three as Brewer cleverly the way he was shooting passed up a three foot shot to throw to Korver 25 feet away. That sent the Bucks into a timeout trailing 65-54 with 6:44 remaining in the third quarter. 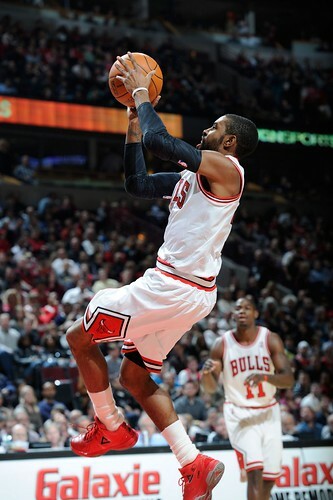 Jennings had been taking it to Rose early in the game, especially with 16 points and three of four three pointers in the first quarter in an unusually wide open quarter between these teams as the Bulls led 30-27. It seemed clear the Bucks point guard was trying to make a statement, or comment, to the MVP. Boozer was very good in the second quarter getting inside, which included a relatively rare spin move out of a postup since he pops for jumpers mostly. Later in the quarter, he followed a Rose miss to score and ran out ahead of the defense on a pass from Noah, though the Bulls could not shake the Bucks. But with Gooden inside you weren’t getting much help, especially the way his feet were on the ground. Though it was made easier with Milwaukee so small without hard luck Bogut, out perhaps three months with an ankle injury. The Bucks were thus without any shot blocking, enabling the Bulls to have a 56-42 edge in inside points and score 25 points on second chances with 20 offensive rebounds. That is the sort of edge they should have on Miami, which plays a variety of smallish backups at center. The Bulls led 79-68 after three as Rose closed the quarter with Jennings laying back in the lane like someone backing away from a duel and Rose dropped in a 19 footer. 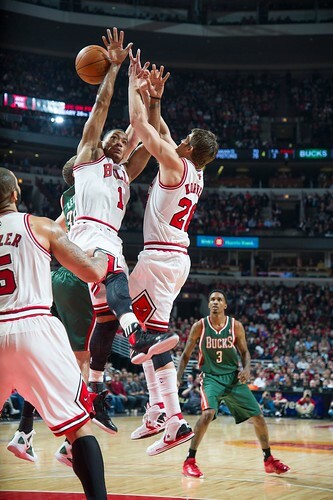 Rose then chased down Jennings from behind to block his shot before Jennings launched a long dud at the buzzer. Jennings had six of his 25 after halftime. 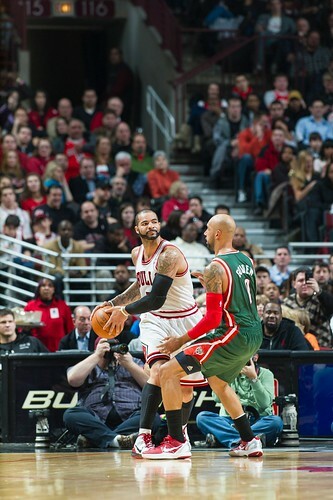 “Jennings went off a little bit in that first half and D-Rose just took the challenge and kept pushing,” said Boozer. 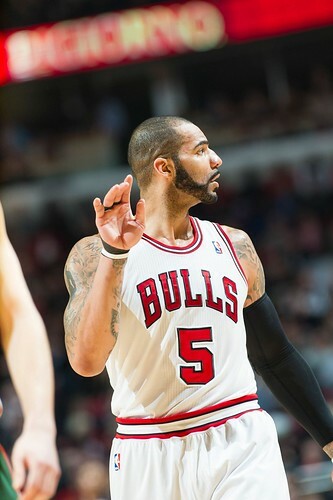 The analytical firm, Stats, Inc., reported the Bulls have won 18 consecutive regular season games when Boozer has scored at least 14 points. Milwaukee got this curious boost from Wisconsin rookie Leuer in the fourth quarter as he hit six of eight shots, including a three as first Boozer had him and then Noah took a few possessions. But in the fourth quarter, especially because Noah is so nimble, the Bulls switch their bigs on defense, and that strategy usually keeps the opponents on the outside. Leuer was making some shots. But Boozer was countering well with a nice pocket pass from Rose and layin from Boozer on a pick and roll out of a timeout, and Boozer going to the basket for free throws than slowed Milwaukee’s attempt to get back before that last push within six the Bulls held off. And so awaits the Bulls 2011-12 destiny Sunday: Act I.